I have been surrounded by faith and religion my entire life. I have always known, even as a small child, that God loves me and that He exists. When I was 21 months old, I was baptized at the local Catholic church with my mother and grandparents in attendance. My mother had been raised Catholic and had even attended parochial school for a time. My grandmother sewed my beautiful dress and bonnet and I was baptized at St Peter, the Apostle, Roman Catholic Church in Henderson, Nevada. I still remember that beautiful building. We attended services there for years as a young child and I have fond memories of the beautiful stained glass windows and the ornate crosses that hung in the building. My grandmother always had the most beautiful rosaries that she wore and carried around. I grew up knowing that the cross represented Jesus Christ and that He died for me. About the age of 7, we started attending a local born-again Christian church, called Black Mountain Christian Church. I loved services there because we were taught to sing loud and clap and dance while praising the Lord. Some of my favorite children’s songs were the Bible songs we sang in our Sunday School classes. The song, “Jesus Loves Me” was my favorite and I sang it often. The words still mean so much to me. I was baptized in my Pastor’s backyard swimming pool and was sad to leave that church when we moved to Las Vegas the following year. We attended another building closer to our home in Las Vegas and that is where I played an angel in the Christmas production the month before I was diagnosed with Leukemia. Prayer was always a big part of my life and I knew I could call on God and the Lord when I needed them. I had never realized just how much I needed prayer until I was diagnosed with Acute Myelocytic Leukemia and started questioning why God would be punishing me. As a nine year old girl, I believed that God had a hand in all aspects of a person’s life, and if I was given Cancer, I must have done something wrong and He was punishing me. The week I was diagnosed with Leukemia, I remember many people praying for me. I had family and friends coming in the hospital room and praying with me or telling me that they were praying for me. One of those prayers in my room stood out to me. My aunt Myrna was active in the Church of Jesus Christ of Latter Day Saints (LDS), also known as the Mormon church. Myrna and one of her friends brought some men from her church to pray with me. They called it a “blessing” and they were all dressed in suits and ties. I remember when they told me they were going to place their hands on my head, I was very nervous. It was a little intimidating having strangers dressed in suits standing over your bed holding your head. I wasn’t sure what to make of it. They had a little vial of oil that they put on their hands and then placed on my head. They told me they were going to give me a blessing and ask God to bless and heal me. I don’t remember any of the words that were spoken in that prayer. I do, however, remember feeling an overwhelming warmth come over my body and I felt like I knew for a fact that Jesus was listening and that He would be with me through whatever was coming. I had always known that my dad’s family was raised in the LDS church and I had some familiarity with it. I had attended the “Mormon” church a few times with my best friend, Melissa. When we lived in Henderson, we lived directly across the street from the large building that she attended with her family, and she invited me to go with her frequently. I don’t recall how many times that I attended with her, but I remember singing Primary songs and attending her baptism. When we arrived back in Las Vegas after being sent home without a transplant, sister missionaries from the LDS church started coming over to our apartment. They would sit with us and discuss their religion and what they believe. I distinctly remember one night when they played a movie for us. It was a movie about a boy named Joseph Smith. In the movie, they showed the boy going through a very scary procedure on his leg and his refusal of a strong “drink” to help dull the pain. I related to him instantly. Later on in the movie, they showed the boy at 14 years old, go into the woods and pray. During his prayer, Satan tried to get a hold of him to stop him from praying, but he continued anyways. Then, a miracle happened, he saw God and Jesus Christ. I wished desperately that I could have that same experience. I was only 10 years old at the time, but I believed that my faith in God and Jesus Christ was just as strong as that boy in the movie. We attended church a couple times in that apartment, and then when we moved into our home, we started attending regularly. I made a lot of friends in that ward. I was put in the “Merry Miss” class with other girls my age and we had fun activities during the week at our teacher’s house. I loved those girls and attending on Sundays. On May 6th, 1989, when I was 11 years old, my father baptized my mom and I together. We wore all white and he baptized us one at a time in a baptismal font in the church building. It was a beautiful day and the room was filled with members of our ward that were so happy to be there and show their support and love. I will never forget the feeling of love and the Spirit that attended that day. I carry it with me still. 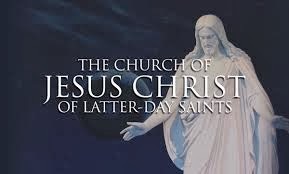 I have been an active member of the LDS church ever since that year. 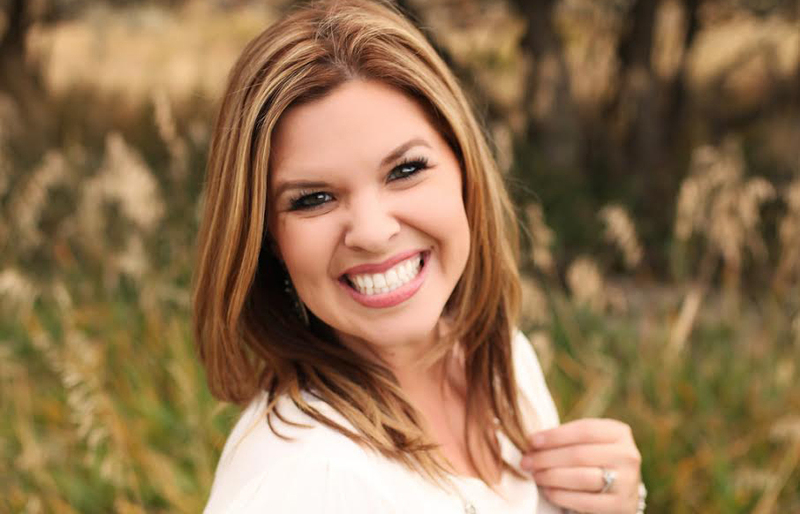 I was sealed to my husband, James in the Las Vegas, Nevada temple on April 14th, 2000. We have been enormously blessed to have our three children and we also continue to raise them in the church. My faith played a huge role in my attitude and determination during my treatment of Leukemia. I was very scared and very lonely at times, but I always felt that I had my Savior by my side. I always knew that when I needed Him, I could just go to Him in prayer and instantly feel Him there. I have been taught by a few different faiths in my life, but the one thing that has been consistent is my love for my Savior, Jesus Christ. He has been with my through every trial and every blessing and I know He will continue to be there. He is my best friend and lifelong companion, and I am beyond grateful and indebted to Him for all that He has done for me in my life. I know I have been the recipient of many miracles, and I know exactly where they come from. My favorite poem that has gotten me through many of life’s “bubbles” is Footprints in the Sand. Facing death, even at a young age can make you question everything you’ve ever been taught and everything you think you know. When you realize just how little control you actually have over your life, you start to wonder “why”. Why me? Is God doing this to me? Am I being punished? Why can’t my life just be “normal”? I know now that the Lord allows us to have trials in life so that we can go to Him for help. I know that there is something significant to learn from each of our trials, if we just take the time to look. I also know that we wouldn’t fully appreciate the good, without understanding the pain of the bad. My prayer is that anyone that is going through their own “bubbles” in life, can look to the Savior for comfort and peace. I want everyone to know and feel the love that I have felt in my life because of having Jesus Christ in it. I am proud to be a Christian and proud to be a Mormon and will shout it from the rooftops any chance I get.